‘#QUALITYtweet‘ is a handy collection of 140 bite sized ideas on practical aspects of Quality Management with a focus on people, processes, and leadership. It offers interesting perspectives to build and enhance quality of products and services through effective people management, process improvement, and organization culture building. Beginning with the theoretical basics of Six Sigma, this book takes you through the various stages of a Lean Six Sigma improvement program, from defining and analyzing issues with efficiency and quality, to taking the steps that can get your organization the results it needs. Practical, knowledgeable and accessible, this guide will make Lean Six Sigma your improvement methodology of choice. We need to look beyond the traditional career advice to thrive and succeed in a knowledge oriented and connected world. This booklet is created from the presentation/talk I delivered at Sandhan – a Government of Gujarat Initiative under Ministry of Higher Education in November 2011. This presentation outlines how our world of work has changed and further presents 26 essential strategies (call them A-Z) of building a successful career in modern world. Whether you are an experienced professional or a budding one, strategies presented here are relevant no matter what stage of your professional life you are in. Download it now! As knowledge work gains prominence, the perceptions about quality are changing. This manifesto outlines what quality really means in a knowledge oriented world. Download the manifesto, print it and share it with your leaders, project managers, aspiring managers and team members. If you and your team members like the manifesto and find it useful, do yourself a favor – subscribe to this blog and receive the updates/posts right in your inbox. 25 Things Managers & Leaders Should Never Do – A free list of 25 pointers for new managers and aspiring leaders. This list compiles three posts at QAspire Blog to offer thumb rules on what “NOT” to do. Download now, and share it with your existing managers, give it to new managers and the aspiring ones as well. 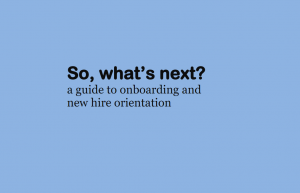 eBook on Onboarding and New Hire Orientation: There are three loose groups of articles in the book. First you’ll hear some stories about new hire orientation gone bad. Next you’ll learn some tips and ideas on how to do it the right way. And finally there are a few pieces on the unique challenge of on boarding new managers. 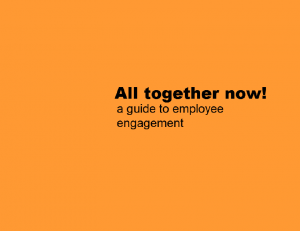 A Guide to Employee Engagement: There are personal stories about engagement and what it means, tips for companies on communication and culture, and some really great, specific how-to content. 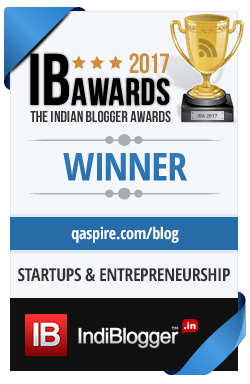 I am writing a series of posts on Quality at ActiveGarage. In each post of this series, I pick up one tweet from my book #QUALITYtweet and expand it in form of a post. Thanks to the team at ActiveGarage for hosting this series.